The Skyline Showband available for Corporate Events, clubs, fundraisers and parties. The Skyline show-band is a superlative group of entertainers who have perfected themselves into one of the most entertaining groups in the Tristate area. The band consists of 2 beautiful female lead singers and 4 talented musicians. The group specializes in R&B dance music, but can also do gospel, funk, disco and blues in an impressive fashion. 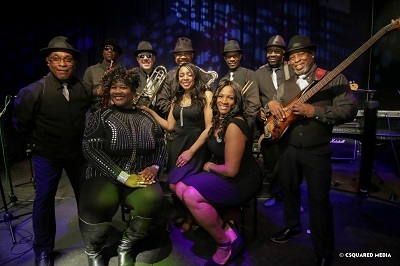 The group performs music from the 70’s 80’s 90’s as well as today’s hits by such greats as Fantasia, Jill Scott, Vivian Green, Bruno Mars Jennifer Hudson and Prince.